I don’t know if BPI Sports Best BCAA can really lay claim to that title, as the number one formula for providing athletes with Branched Chain Amino Acids and the benefits they produce. I can say for sure this is one of the best-rated, best-selling products on the market for 2016, though, so look more closely at the product and the company. 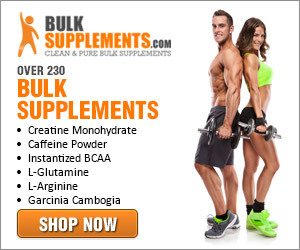 Click to Shop BPI Best BCAA on Amazon! Each serving of BPI Sports Best BCAA contains Leucine, IsoLeucine, and Valine, the three BCAAs. Branched Chain Amino Acids are essential nutrients found in soy, dairy, meat, fish, and some plant proteins but also in assorted supplements. Taking a tablet or powder containing BCAAs is the popular way to go for many amateur and pro performers in a variety of sports although BCAAs are most commonly linked to weight lifting and body building. BPI Sports’ version contains an effective amount of each one plus other ingredients which facilitate something called Oligopeptide-Technology. According to BPI, their formula is the first which bonds the three BCAAs and creates a way to produce oligopeptides as part of the muscle-building/protecting mixture. As far as their science shows so far, the oligopeptides cause the metabolic system to more quickly and readily mobilize these active ingredients to the benefit of muscle building and repair. In other words, when you take Best BCAAs, you feel fitter faster. More research is needed, but as promising theories go this one has been the subject of studies for many years. Essentially, though, it’s thought by the scientific minds at BPI Sports that amino acids are not doing all the good they are capable of without these oligopeptides which their formula produces and which makes Best BCAA different from similar supplements. What is unclear to me is how they bond the BCAAs if others are not achieving the same thing simply by creating a suitably balanced blend. They may only be naming a process which is happening in all BCAA supplements but the label indicates that certain ingredients play a part in the bonding process. This is certainly a good product, don’t get me wrong, and it supplies the same benefits as other BCAA supplements. BCAAs utilize protein to build muscle, reduce the chance that muscle will be broken down and used for energy, and use stored energy to melt fat. Athletes will feel more energized when they work out, but also recover more quickly from fatigue and discomfort. Each container supplies 30 servings of drink mix and all you need to do is stir for a few seconds to see the powder dissolve into a tall glass of cold water. Select from numerous mouth-watering flavors like Passion Fruit, Cherry Lime, and Blue Raspberry. Consume this drink before working out, during exercise between reps when you take a rest, or after a workout, but don’t wait too long: not more than 45 minutes. The BCAA ratio is 2:1:1, Leucine being greatest here, with seed and fruit oils as well to promote healthy brain function and concentration. The label constantly refers to their Oligopeptide-Technology as though certain ingredients promote bonding between the BCAAs and benefits like greater stability and quicker absorption. Other items include gums, sucralose, and colorants. Buy it! Click Here to shop BPI Best BCAA on Amazon!